Enables labels to monetise their content to support the Indonesian music industry. Tuned Global, a mobile engagement company that helps brands engage their customers through music, has launched Nada Kita, the first completely free music app to fight against piracy in Indonesia in partnership with the six biggest local independent music labels. Supported by partner brands and advertisers, Nada Kita provides Indonesian people with free unlimited access to the local music they love, whilst giving brands a great opportunity to engage in new and innovative ways with their consumers. Labels can use the app to monetise their music content based on a shared revenue model. The first strategic partnership for Nada Kita is SPC Mobile, which has pre-installed the music app on their new devices. Nada Kita is easy to use with a wide variety of stations that are put together by Indonesian music experts, to save people time in creating their own playlists. It becomes more personalised the more they listen, so it is extremely relevant and engaging. Crucially, it is the solution to music streamers’ biggest concerns - data consumption and cost. Nada Kita is free as it is supported by brands and has been highly optimised not to waste users’ data – watching five music clips on YouTube consumes the same amount of data (~60MB*) as listening to 83 music tracks on Nada Kita. 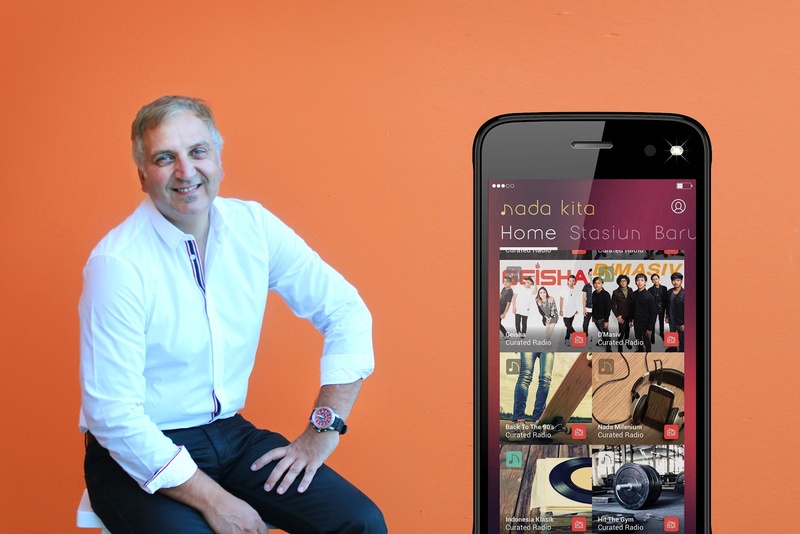 Tuned Global and the record labels have responded to the worries of Indonesian people about music streaming and costly data, to design a music app that is highly attractive to everyone,” said Con Raso, Managing Director, Tuned Global. Brands that collaborate with Nada Kita are able to engage their customers through something they love - music. Nada Kita’s low-risk model allows brands to integrate this fun music experience within their core business strategy for free. In return, brands that partner including SPC Mobile will benefit from this mobile engagement channel to acquire and retain customers and to send them relevant communications, while using Tuned Global’s business intelligence to grow their revenue. Partner labels including Musica Studios or Nagaswara, will also allow brands to be associated with exclusive music events and new releases via the app. Advertisers can sponsor stations and use highly targeted audio ads on the platform, through Triton’s mobile advertising technology. “We have been using music for many years to build our brand awareness and to create emotional connections with our customers. Nada Kita takes that to the next level. While associating our brand with an innovative free music app, we’ll also benefit from an always-on channel to communicate with our clients and the data we gather will help us to segment our client base so we can stay relevant,” said Raymond Tedjokusumo, General Manager, SPC Mobile. Music labels benefit from a shared revenue business model with Nada Kita, as it is Tuned Global’s philosophy to pay labels and artists fairly. Nada Kita is also a new channel to monetise their music content and to connect artists with their fans using the innovative engagement features within the app, while enriching their offering to brands and upselling sponsorship and artist opportunities. As the app is free, it helps to fight against piracy and to sustain the local music industry. “Nada Kita provides extraordinary opportunities for labels and artists, and has allowed us to stream our extensive music catalogue to Indonesian music fans, helping artists connect with fans in a more personal way, while monetising our content whilst enabling us to partner with brands,” said Gumilang Ramadhan, Managing Director, Musica Studios. The Nada Kita pre-release app is available now on all new SPC Mobile smartphones and on Google Play as well as the Apple App Store. New features, content and a few cool exclusive deals for brands and specific venues will be added in the next few weeks. “We are very excited to launch Nada Kita in Indonesia. We want to partner with brands and labels to increase engagement in order to drive additional revenue for the music industry and to create more relevance for music fans, while sharing the risks. We’re already talking to a number of telcos, banks and retailers in Indonesia about this unique proposition,” said Con Raso, Managing Director, Tuned Global. *Based on an average cache of 30% (maximum is 50%) and an average video and track duration of 3mn. The current Indonesian average/Per User take-up on Smartphones being 197MB per day according to eMarketer.com.